Here are 26 ideas you can print off and share with your customer service employees. Or, you could share these ideas in a quick 3-minute training. Act as if every lost customer’s value to the company comes out of your paycheck. Believe the best of customers. Don’t make the mistake of assuming most customers are out to simply get something for nothing. The truth is, less than 1% of customers contact companies with ulterior motives in mind. Communicate with diplomacy and tact when your final answer is “no” and when explaining company policy. Don’t tell a customer she is wrong. Telling a customer they are wrong never makes them want to agree with you. It only pushes them more forcefully into their original position. Empathize with unhappy customers and allow this empathy to season your responses. Find a way to say “yes” to customers. Instead of saying “no” or telling the customer what you can’t do, think critically about what you actually can do. Give a token item such a coupon as a concrete form of apology. Have a sense of urgency. Demonstrate with your words and speed of response that getting to the bottom of the problem is just as important to you as it is to your customer. Jot down the customer’s name and details of the problem they are describing so you don’t have to ask the customer to repeat information. 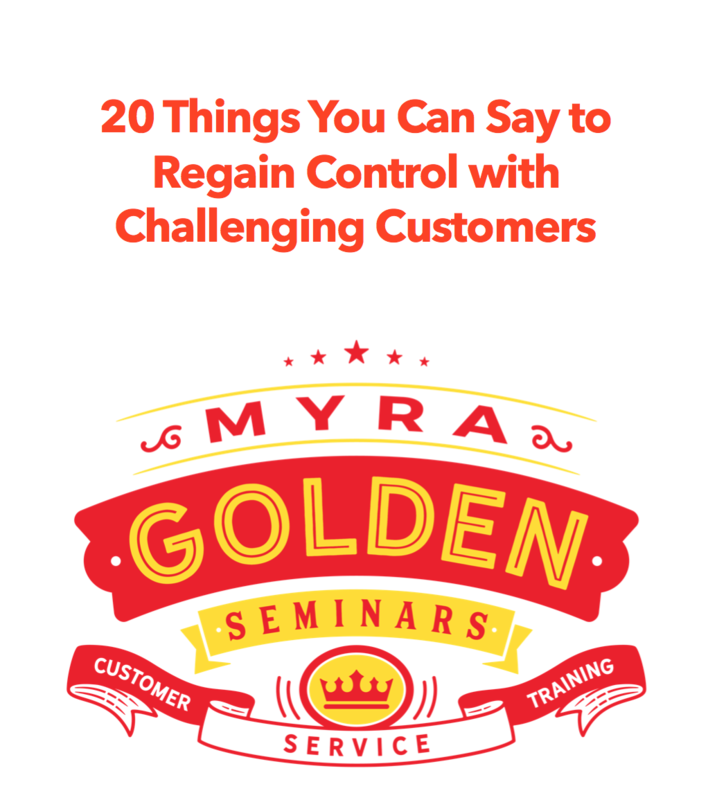 Keep customers apprised of your timetable and progress toward resolving their problems. Listen with the intent to truly understand your customer, not with the intent to interrupt, reply, or correct. Monitor your voice and attitude to make sure you sound friendly, helpful and willing. Negotiate resolutions that balance both the interests of your company and your customer. Open the door with unhappy customers with open-ended questions. Make your questions demonstrate a sincere interest in better understanding the customer’s problem or experience. Put yourself in the customer’s shoes. How would you feel if the exact same problem happened to you? Quickly apologize. Apologize both when the company is at fault and even when the customer is responsible for the error. An apology goes a long way in creating calm, diffusing anger and regaining goodwill. Recognize that the issue is not the issue. The way the issue is handled becomes the real issue. Say “no” diplomatically and without causing resentment. The best way to do this is to start out by telling the customer what you can do. Thank customers for their feedback. Up-Service your customers by suggesting products or services that enhance the value of their current purchase. View the customer as the reason for your work- –not as an interruption to your work. EX amine the root cause of problems and work to eliminate problems at the root. You are the company to each customer. Never underestimate your power to influence the customer’s future buying decisions. Zero in on the customer’s needs and wants.